We worked with designers on a few rooms in our house and the way I started the design process was by showing them a few pieces I needed integrated into the final product. 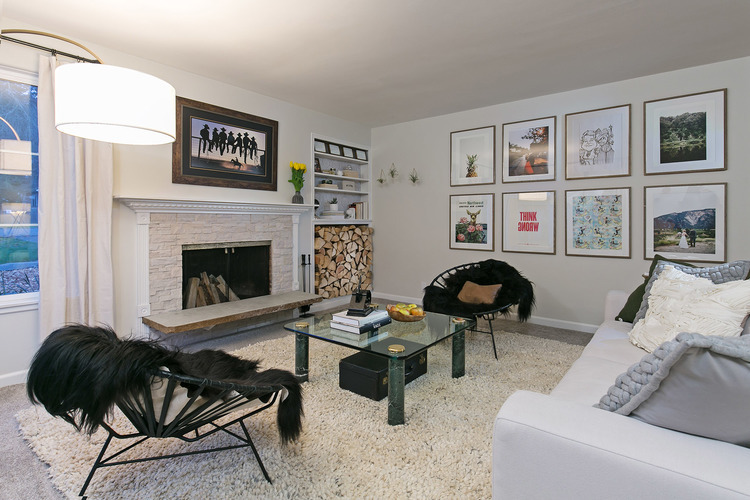 The most exciting thing I wanted them to work around was my gallery wall frames from Design Aglow. Now, I don't remember where I learned about them. Maybe from the huge amount of photographers I follow on Instagram. The price and size where right for the huge wall we had to fill in our front room, so I bought two sets of four (they're offering sets of three now) Hawthorne Collection frames in 24"x30" and set about deciding how I would fill them. My vision then and now was and is to rotate some of the images as I find or create art that inspires us. I want our home to be a place where we find comfort and things that pique our curiosity. The gallery wall allows us to play with that first touchpoint people have with us, and with our home. It's hugely important and representative of our ever-evolving, growing family. Chairs are from CB2. Table has solid marble legs, and was a gift from my Godmother. It was another item I asked the designers to incorporate. It's worth noting that the way Design Aglow set up its site makes it seem like you HAVE to be a professional photographer to order from them. Not true. They didn't ask me for any professional credentials when I placed my order, which is a good thing because I have none. Every day, I walk by these images and for an hour or so both morning and night, the light hits them just right and I am again reminded of what a smart choice I made in ordering them. 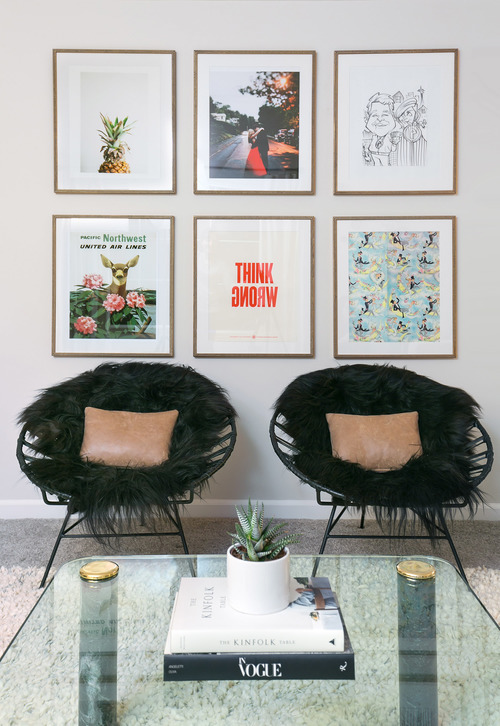 If you're like me and interested in creating a gallery wall, but don't know where to start, start here!